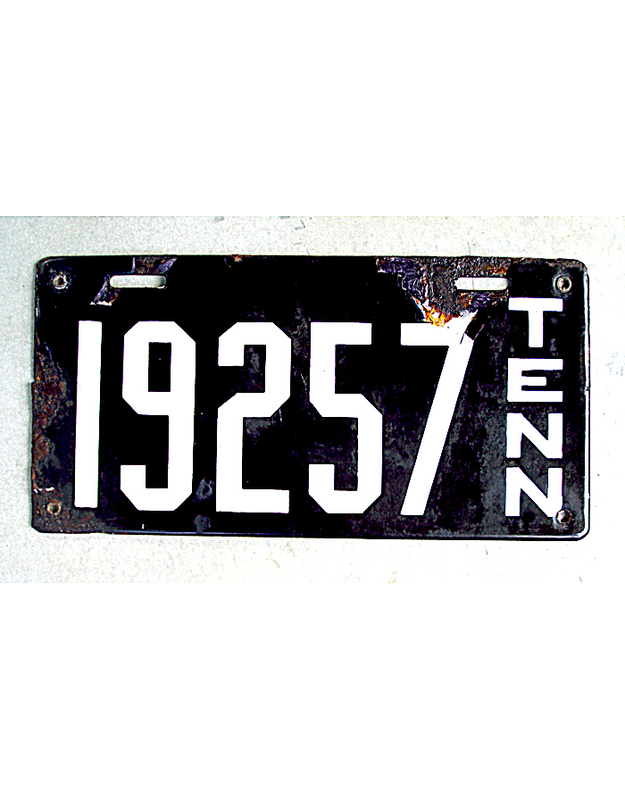 Tennessee was an especially early pioneer in the registration of automobiles, requiring owners to obtain a state license number first in 1905, and then to fabricate their own license plates. 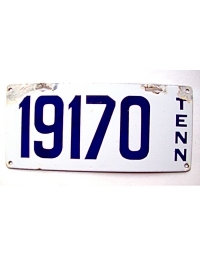 These licensing procedures were not changed for ten years until 1915 when the state government began providing uniform official state license plates to new registrants (all motorists received official state plates in 1916). 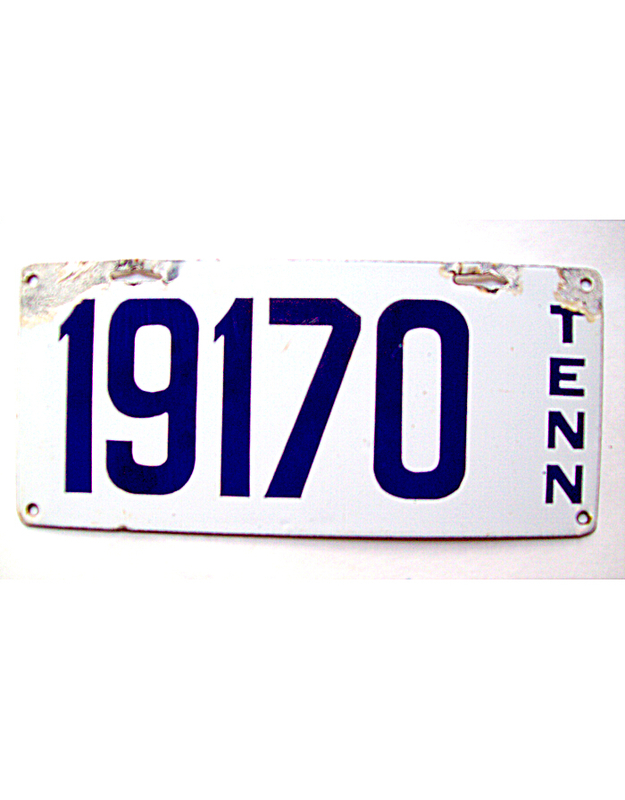 Registration numbers under the owner-made pre-state system exceeded 20,000 by 1915-16, but early low-numbered tags from the first years are very difficult to find. 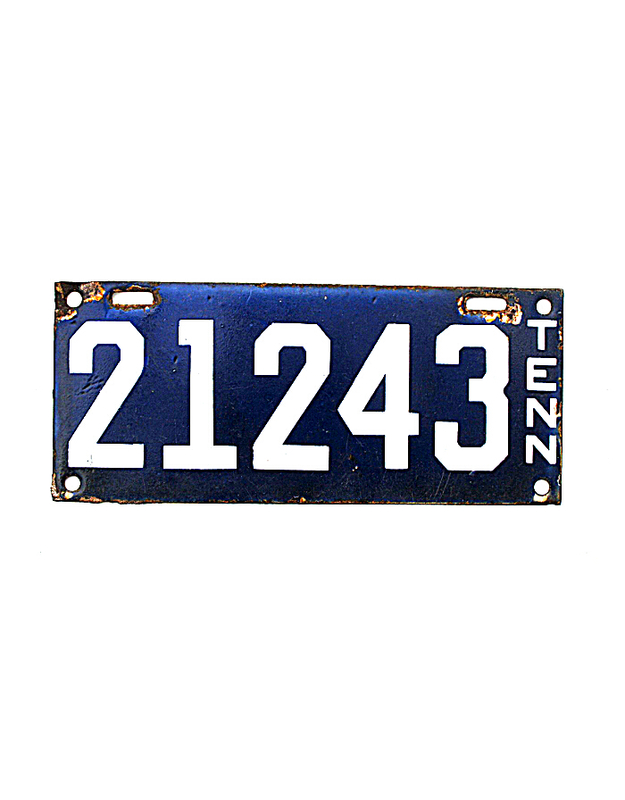 In fact, given the relatively large number of Tennessee numbers that were issued to owners, there are actually very few pre-state plates known in collections. 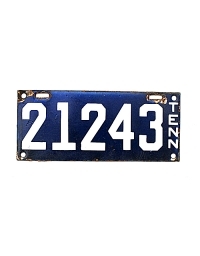 Most are porcelain enamel, undated, and feature the state abbreviation TENN vertically down the right side. There are many variations of these porcelain plates. 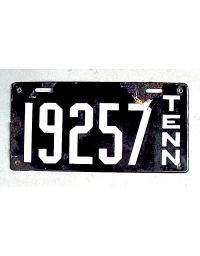 Of course, motorists were not required to buy porcelain plates, and some opted for tags of leather, wood, and all other materials similar to what was done in other states. 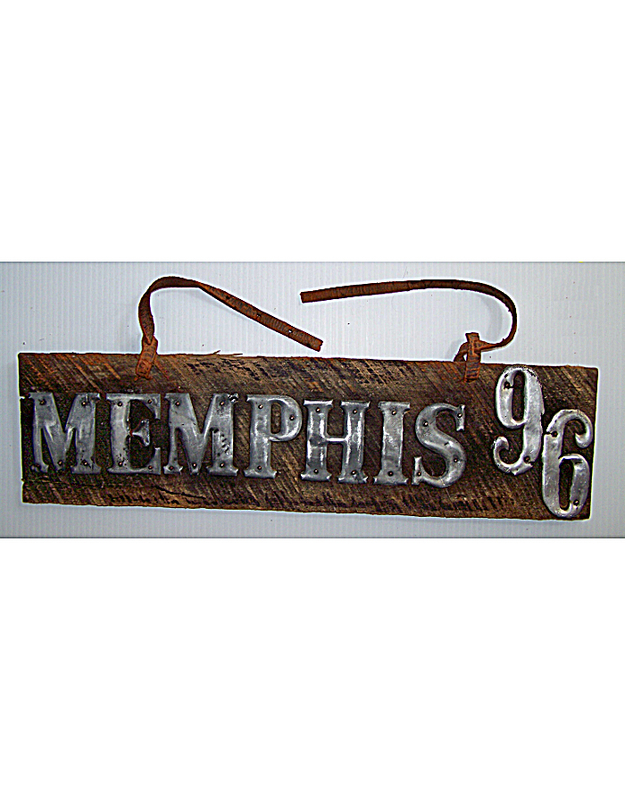 Memphis, an important river port city prominent in commerce and shipping, began requiring automobile licenses and display of numbers in 1903 – making it one of the first few cities in the nation to do so, and absolutely the first in the deep south. 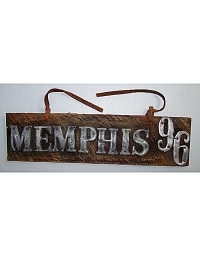 It is not known how many Memphis numbers were issued, but owners were required to produce their own tags. 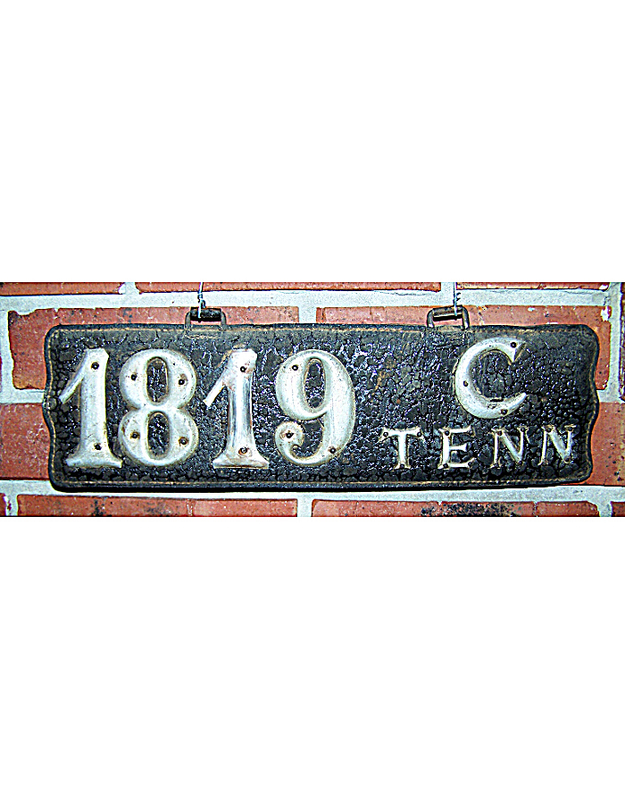 There is one surviving plate that can be documented as originating in Memphis. It is a large, rough-sawn 20 x 5 1/2 -inch wooden slab with the name of the city spelled out in full in large metal numbers, followed by the registration number 96. This city license was declared obsolete and removed from the auto in mid-1905 when the state assumed registration of all motor vehicles.